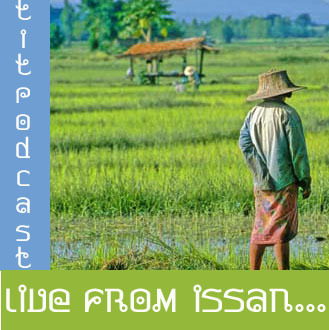 Issan | "Tom in Thailand"
What is “Makha Bucha” day? Tom wonders what they will do with seized billion? Taylor, Ernest, and who is Little Bit! Email from a listener…Hey Brendan! Have you ever had fondue? Would I recommend living and teaching in Thailand? Voicemail from the Dean in L.A.
Hi guys! I trust everyone has had a wonderful week at work, and to ring in the weekend I thought I’d add this funny little video I’ve seen on Thai TV from time to time. It is Issan (Northeast Thailand) music commonly known here as Luk tung but with a comical twist…see if you can listen close and hear the English bits of the song. The list of place she goes through are all tourist venues in Thailand, and also when she says “I tell you know”….she means I’m telling you this so you will know about it. There are cute little bits of Teng-lish sprinkled through out the video, and it makes me laugh every time i see it. Soooo….I thought i’d share it with you peeps out there! Have a great Friday guys and hopefully will speak to you over the weekend. I’m off to scout the SouthEast tomorrow and inspect the house where I’ll be living! Speak to ya soon! • Thanks for the Birthday wishes! 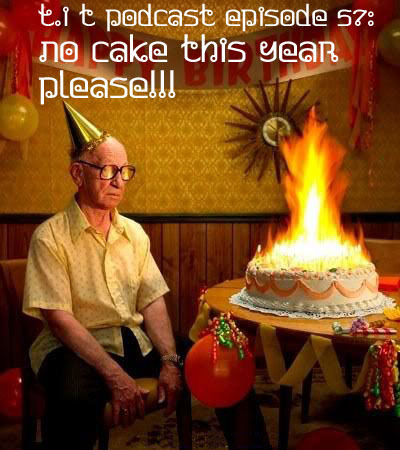 • Unpleasant Birthday news first thing in the morning! • Did you own parachute pants? Thriller jacket? • Lovely city from on high! • Don’t tell me what happened, when I was there!!! • The root of the problem is….see above! • Is distance the same no matter how far? • Love me some Tigger! • Closing remarks and love!